Good news for music enthusiasts!!! Music is the most interesting form of art which plays a vital role in our day-to-day lives. You might be busy with your itinerary all the week and looking for good entertainment to unwind. If yes, here comes a class apart music concert. Definitely, it takes you to the new realm and makes you overwhelming. I understand, you are hurry to know about the star who will be performing on stage. 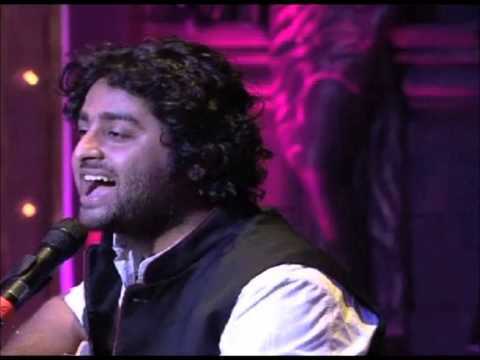 He is none other than music sensation Arijit Singh who can mesmerize you with his gifted and honeyed voice. He has delivered many chart-busters and earned accolades for his outstanding performance. After reading the name of singer, you just cannot ignore and want to know more details. Obviously, it happens as he pricks your hearts with his lyrics and stimulates ears with soothing music. Any song he croons on stage, surely strike a chord with music lovers because of harmony that he balances in singing. Whenever, you hear the name of Arijit Singh, immediately your mind strikes on his popular song “Tum Hi Ho” in Aashiqui 2. He worked with all the leading music composer in Bollywood. The place of Hindi film industry has accommodated many talented and he is one among them. Whenever, you hear the name of Arijit Singh, immediately your mind strikes on his popular song “Tum Hi Ho” in Aashiqui 2. He worked with all the leading music composer in Bollywood. The place of Hindi film industry has accommodated many talented and he is one among them. Now, December 26th, 2014 is going to witness for amazing music concert at Gachibowli in Hyderabad. It is definitely great privilege for every individual to be part of live music concert. It is known fact that music can change the mood, double the joy and bring smiles on face to go around. Who wants to miss out such a rare occasion in life. The venue is going to be full of energy and place of joyfulness. We know that some are interested in being aloof and away from work on weekends but no one wants to away from music as it is the best form of entertaining. No matter where you are, you want to enjoy music and charge yourself. The time has come to engross you in music realm. Arijit Singh will be letting every cell of your body to dance on Dec 26th. Hence, join the group of music lovers to enjoy awesome music.